The 2019 Akamai Internship Application is now closed. Thank you to all those that applied. Stay tuned for participation notifications. See the calendar page for more detailed information. Take a look at or print the 2019 Akamai Brochure for more information about the 2019 program! We also have a 2019 Akamai Flyer if you want to post this somewhere to help recruit applicants! 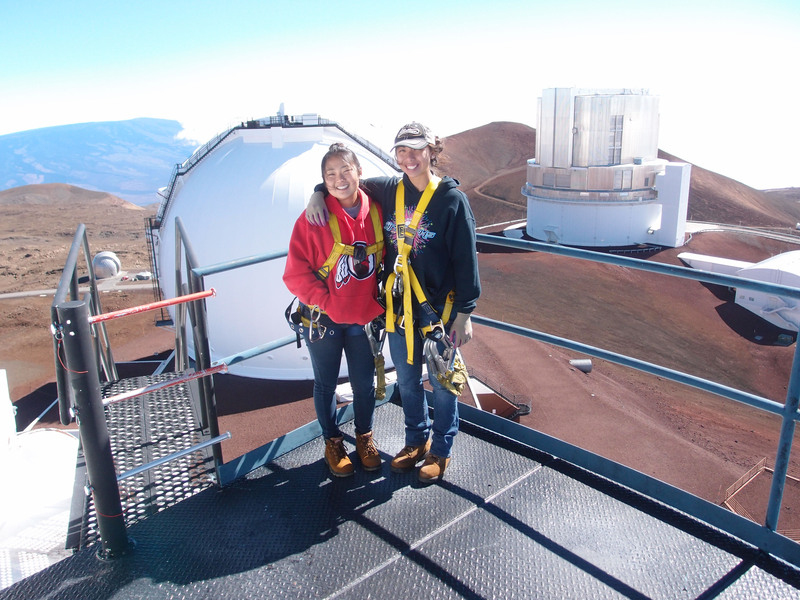 The Akamai Internship Program offers college students from Hawai‘i an opportunity to gain a summer work experience at an observatory, company or scientific/technical facility in Hawai‘i in an 8-week program. The program has placements for students from community colleges and four-year universities from a wide range of majors. Recent graduates are also eligible (please see FAQs for more information). Applicants must be U.S. Citizens or Permanent Residents, be at least 18 years old, and a resident of Hawaii. Upon acceptance into the program, interns are carefully matched with a project and a mentor who will supervise the intern in a 7-week project, and integrate the intern into the work environment. Prior to completing a project, all interns complete a 1-week resident intensive (and fun!) preparatory course in Hilo, Hawai‘i Island or Kahului, Maui, where they meet the other interns and Akamai’s dedicated staff team who work with interns and mentors throughout the program to ensure a productive experience. Interns get coaching on communications skills, and present their work at the end of the summer at a symposium. Interns are paid a $3200 stipend, and are provided with housing if needed, along with travel from home island to internship site. After completing the program, interns are invited back for occasional workshops, connected to job opportunities, and may apply for a second internship. Akamai partners with, and has placements at all the major telescopes in Hawai‘i, including new telescopes now under construction: the Thirty Meter Telescope International Observatory and the Daniel K. Inouye Solar Telescope. Akamai prepares mentors to be effective, and helps mentors create projects that are educational and valuable contributions to the host site. Akamai has an accomplished staff team that works with interns and mentors all summer to provide an exceptional internship experience. Akamai does not end with the summer. Our alumni have many opportunities beyond the internship and a network that helps them advance in their careers. Akamai alumni get jobs: more than a hundred alumni are now in jobs in Hawai‘i and beyond.